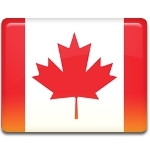 The third Monday of February is a statutory holiday in several Canadian provinces. In most of them, it is called Family Day (Jour de la famille). Other names include Islander Day, Heritage Day, and Louis Riel Day. The first province to introduce a statutory holiday in February was Alberta in 1990. Family Day in Alberta was proclaimed by Lieutenant Governor Helen Hunley on the advice of Premier of Alberta Don Getty. Getty said that the main goal of the holiday was to emphasize the importance of family values and to encourage Albertans to spend time with their families. The date was chosen to coincide with a U.S. federal holiday, Washington’s Birthday, so as not to disrupt trade between the two countries. In 2007, Family Day was celebrated for the first time in Saskatchewan. Ontario followed suit the next year, and the first Family Day celebration in New Brunswick was held in 2018. As of 2019, the last province to begin celebrating Family Day on the third Monday of February was British Columbia. Between 2013 and 2018, Family Day in British Columbia was celebrated on the second Monday of February. The holiday was moved in order to align with other provinces. Several other provinces also have a statutory holiday celebrated on the third Monday in February, but theirs are named differently. For example, Nova Scotia celebrates Nova Scotia Heritage Day. It was first observed in 2015. Each year the holiday honors a different person who played an important role in the province’s history. The first such person was Viola Desmond, a Black Nova Scotian businesswoman who refused to leave a whites-only area at a cinema in 1946. She is often compared to Rosa Parks, who also challenged racial segregation. The government of Prince Edward Island named their holiday Islander Day. Introduced in 2009, it was first celebrated on the second Monday of February. The next year, Islander Day was moved to the third Monday in February to prevent local businesses from suffering as a result of being out of sync with businesses in other provinces. Manitoba school students choose the name Louis Riel Day for their province’s February holiday. First celebrated in 2008, it honors a famous Canadian politician. Louis David Riel was a leader of the Métis people, a rebellion leader, and a founder of the province of Manitoba. Although his historical reputation is controversial, Riel is increasingly celebrated for his fight to maintain aboriginal rights. Yukon celebrates its February holiday on another day. Yukon Heritage Day is observed on the Friday before the last Sunday of February. Although government offices and many businesses are closed for the day, it is not a statutory holiday. Since Family Day is not a federal holiday, public servants, postal workers, and other federal employees in all provinces work on this day. Many businesses, however, are closed. One-third of Canadians (those living in Quebec, Newfoundland and Labrador, the Northwest Territories, and Nunavut) don’t observe a February statutory holiday.